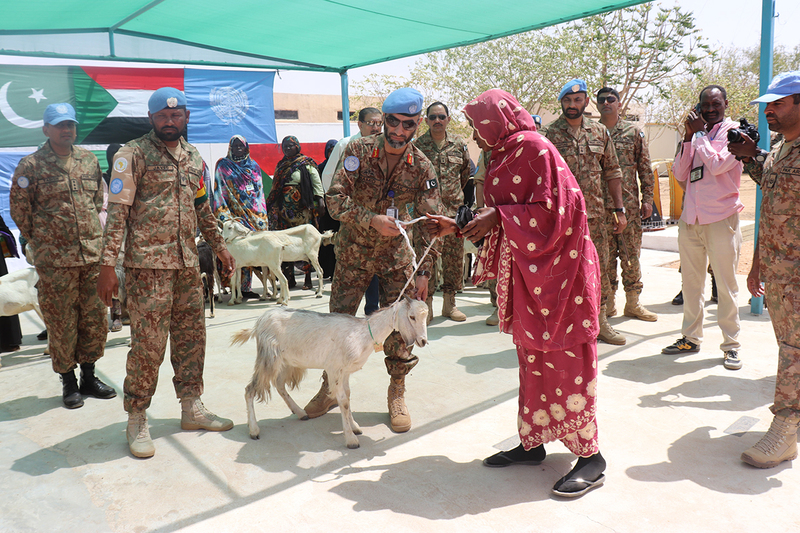 On 25 March 2019, UNAMID Pakistani peacekeepers handed over livestock (goats) to 35 widows in Kabkabiya, North Darfur. The project is part of the Mission’s initiatives aimed at empowering Darfuri women through income generating activities. UNAMID photo.